In the digital age, poetry has taken a mobile-friendly shift to shorter, more accessible poems. It’s hard not to fall in love with lines that look beautiful on-screen and manage to pack an emotional punch. Although Instagram is a great place for poems to land, it’s not where they’re usually created. Whether you’re looking to write, read, or learn about poetry, there’s probably a poetry app for you. If you like The Poetry Foundation, you’ll love their poetry app. Subscribers can access hundreds of poems by both classic and contemporary poets. Users can search for poems by author or line, shake to find new poems, and save and share their favorites on Facebook and Twitter. With Poetry Daily, users gain access to an anthology of contemporary poetry. Every day, Poetry Daily is updated with a new poem. With poems from a wide variety of poets, you can explore a massive range of poetry for free. Offering one free poem a day, Pocket Poetry is a great way to discover new poems. Viewable poems change out each month, but you can bookmark your favorites to hang on to them for longer. Their rotating selection is a great way to find new poets. For those short on time and looking for a quick dose of poetry, Daily Haiku is the perfect poetry app. This app is exactly what it sounds like: a new haiku every day. It does come with a few bells and whistles, including the ability to set your preferred notification time and options to save and share your favorite haikus. 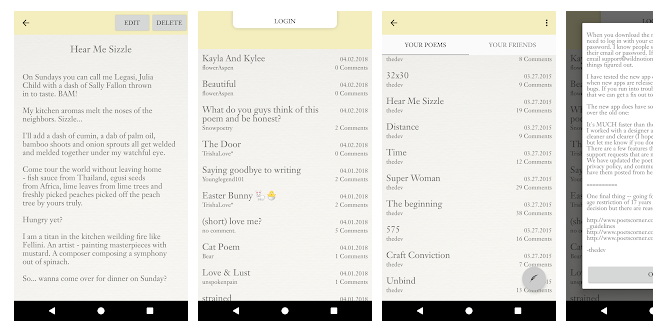 Wings is a free poetry app that allows users to browse by author, create their own lists, or pair poems with their own photographs for a personal touch. The app also offers extended information about each poem and poet so you can dive deeper into the works you love. Experience poetry in video form with the Poetry Everywhere app. This app is a collection of short poetry videos read by contemporary poets. Intuitively designed, Poetry Everywhere is as inspiring as it is easy to use. It’s also a great way to put a face to the names you’ve been reading all this time. With over 300 poems from a collection of classic poets and renowned English actors (like Eddie Redmayne and Lily James), the Poetry Hour brings timeless literature to life. In addition to reading, watching, and listening, this poetry app allows users to create and share lines of poetry over images. Just don’t forget your headphones! 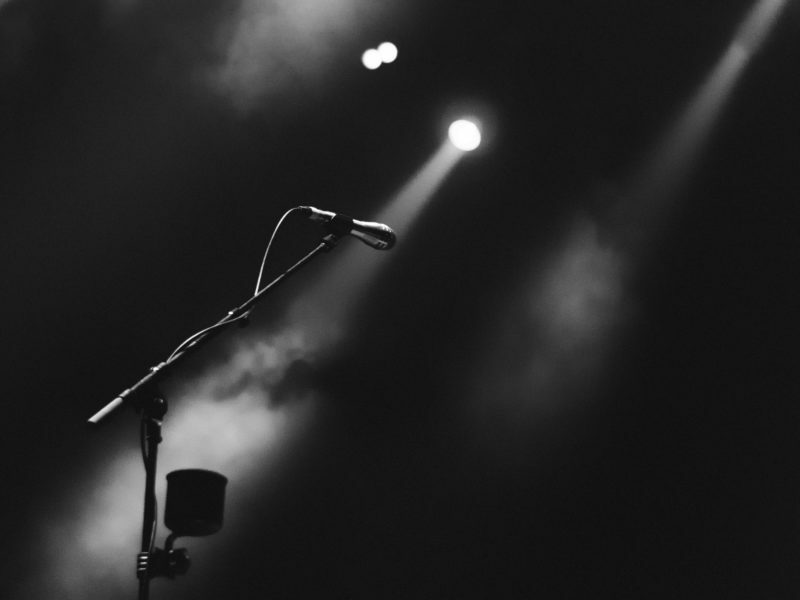 Never miss a beat of inspiration with the Rhymer’s Block poetry app. Designed for poets and rappers, users get real-time rhyme suggestions as they write to help keep inspiration flowing. The app is smart enough to recognize slant rhymes and can color code your lines for a better visual of your work. Users can also share their work on The Block, the app’s social network, for feedback. The adorable Verses app puts a unique spin on your favorite poems. With a format best described as refrigerator magnet poetry, users can play dictionary DJ by adding custom words, rearranging existing ones, and sharing their new poems to Facebook or saving them to the camera roll. Poet’s Corner is the perfect poetry app for those looking for a space to share their works in progress. Users can post their own poems and see the latest from fellow users anonymously. It’s a safe place for beginners to test the waters and write from the heart without fear. With Portapoet, users can write, share, and compete with each other to keep their writing fresh and interesting. Easy to navigate, users can find top rated poems, write and edit their own, share to social, and even use a Twitter haiku button to count the syllables and lines before they send off their work! Of course, nothing beats a classic notepad and pen, but these 11 apps can help you when inspiration strikes. Whether you want to kill time at the DMV with a few good poems or write a few yourself during your commute, having some go-to poetry apps in your pocket will make life that much easier.